For centuries, the iconic boulders of Stonehenge have puzzled researchers the word over — for what purpose were they erected? What manner of human rituals centered around the stones and their surrounding landscape? Now, an international team of archaeologists has chanced upon two previously undiscovered sub-surface pits that have shed new light on the Stonehenge mystery. The two large pits are positioned within what is referred to as the Neolithic Cursus pathway, placing them in alignment with the rising and setting of the midsummer sun when viewed from Sonehenge's Heel Stone, which rests just outside the ancient monument's entrance. It's possible the pits may have contained stones, posts or fires that would have marked the rise and fall of the sun over the horizon, lending credence to theories that the iconic stone monument may have been used as a place of sun worship. 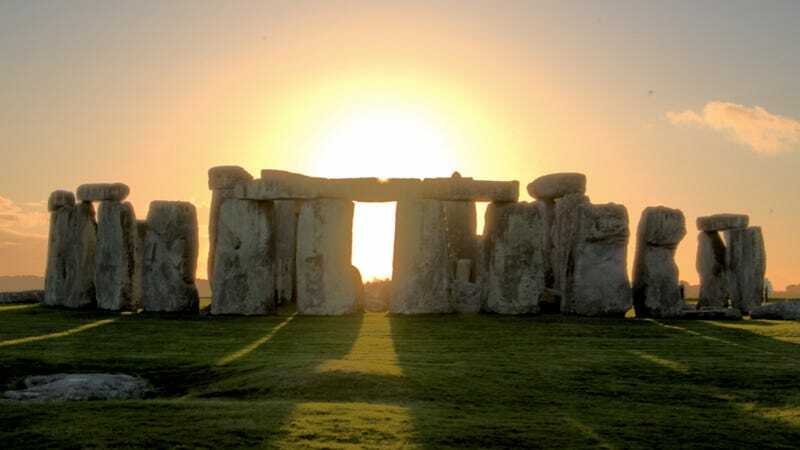 Archaeologists have known for some time that Stonehenge was likely designed around astronomical events; the sun, in particular, would have played an enormous role in the lives of prehistoric agricultural societies. This is the first time we have seen anything quite like this at Stonehenge and it provides a more sophisticated insight into how rituals may have taken place within the Cursus and the wider landscape. These exciting finds indicate that even though Stonehenge was ultimately the most important monument in the landscape, it may at times not have been the only, or most important, ritual focus and the area of Stonehenge may have become significant as a sacred site at a much earlier date. Gaffney and the other researchers claim that their discovery suggests that the land on which Stonehenge stands may have been used as an ancient ritual site as many as 5,000 years before the erection of its iconic, standing stones. Our knowledge of the ancient landscapes that once existed around Stonehenge is growing dramatically as we examine the new geophysical survey results. We can see in rich detail not only new monuments, but entire landscapes of past human activity, over thousands of years, preserved in sub-surface features such as pits and ditches. This project is establishing a completely new framework for studying the Stonehenge landscape.